It’s the way the little fella likes to plans things you see. The day after his birthday, he starts planning for his next birthday. 364 days of planning and not faltering once from the theme. Robots he wanted this year…and robots it was. 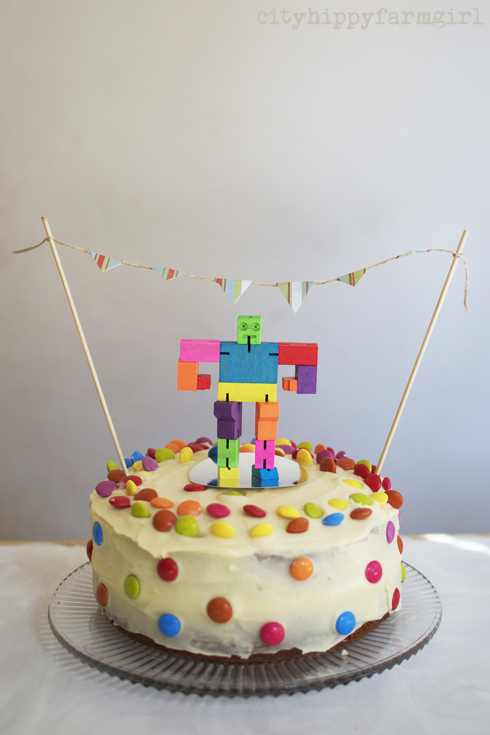 A robot cake, which he excitedly decorated himself. Just leave me the middle, I whispered, not telling him why. 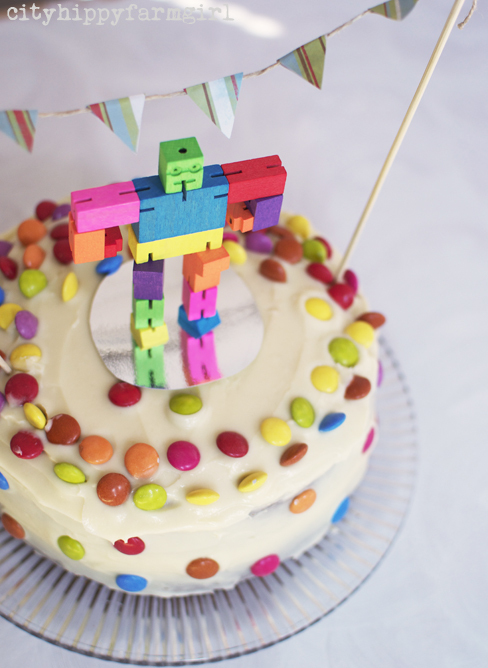 The robot and and mini bunting I snuck on last minute. He got the joy of decorating his cake and I got the joy of still surprising him. Robot party bags to be coloured in by the kids coming over. 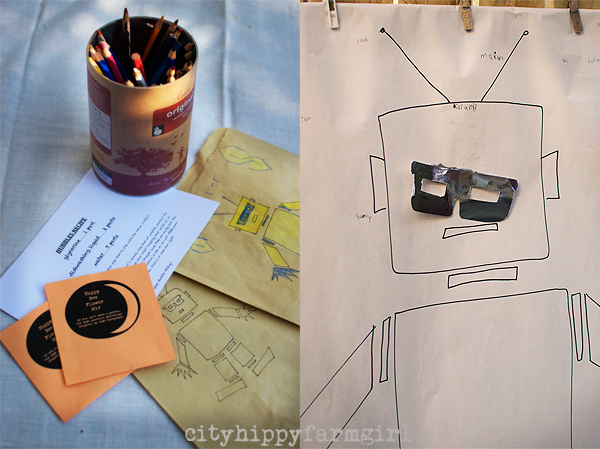 Pin the glasses on the robot and robot dance moves were a given. I didn’t want excessive waste, plastic or money spent and he wanted to just have fun with his friends. I think just maybe, we might have got the balance right. 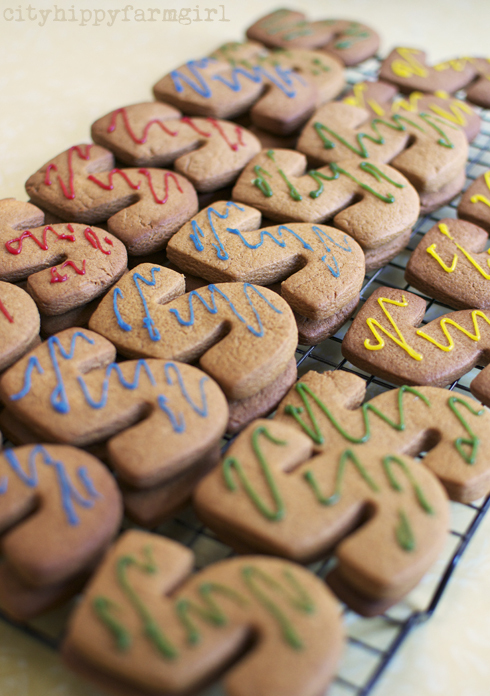 – kids get to decorate their own cupcakes. – invites were retro ones found at Stash and Treasure for 20c a packet of 6.